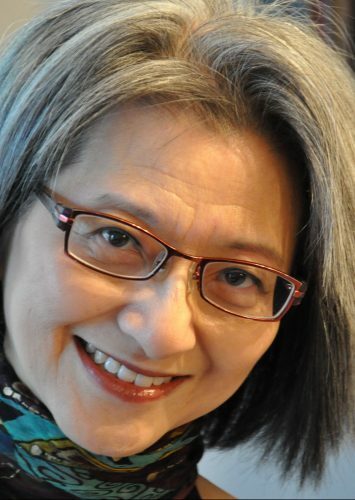 Gloria Wong has enjoyed several varied careers in the arts as a professional pianist, educator, and arts manager. In teaching VAM’s Career Development course, she is delighted to share career strategies with students and to provide them with tools to be better equipped for their career choice. Adept at combining right-brain creative vision with left-brain strategic know-how, Gloria is as comfortable with artistic content as business realities, and thrives on creating pathways and the best possible environment in which art, ideas and audiences connect, donors are invested and engaged by their philanthropic priorities, and community connections can be forged. She holds a Master of Music degree in Piano Performance from the Peabody Conservatory of the Johns Hopkins University where, with a full-tuition scholarship, she was invited to study with Leon Fleisher and Ann Schein. Under the auspices of the Queen Elizabeth II Scholarship as well as a B.C. Cultural Fund Professional Study Grant (now BC Arts Council), she continued her post-graduate work at the Royal Academy of Music in London, England. As a recipient of the prestigious Izaak Walton Killam Pre-Doctoral Fellowship at the University of British Columbia, she was mentored by Robert Silverman. Gloria’s activities as a professional musician span undergraduate teaching as well as chamber music and solo performances in Canada, the U.S., England, Germany, and Switzerland. Led by a curiosity for the world of concert presenting, she went on to join the Vancouver Recital Society, one of the premiere presenters of recitals in North America, and became its Associate Director responsible for overseeing both its artistic and operational management. With a focus on resource development, she has also been the Associate Director for Donor Relations and Events at the VGH & UBC Hospital Foundation. Among her community involvements, Gloria is on the board of Music on Main, and has been a mentor for the University of British Columbia’s (UBC) Mentorship Program, served as Vice-Chair of the British Columbia Alliance for Arts and Culture, a board member of the British Columbia Chamber Orchestra, and a committee member for the City of Vancouver’s Cultural Grants Assessment Review. Gloria is proud to contribute to the areas of international initiatives, and resource and program development in the arts and to continue supporting the excellence of VAM.